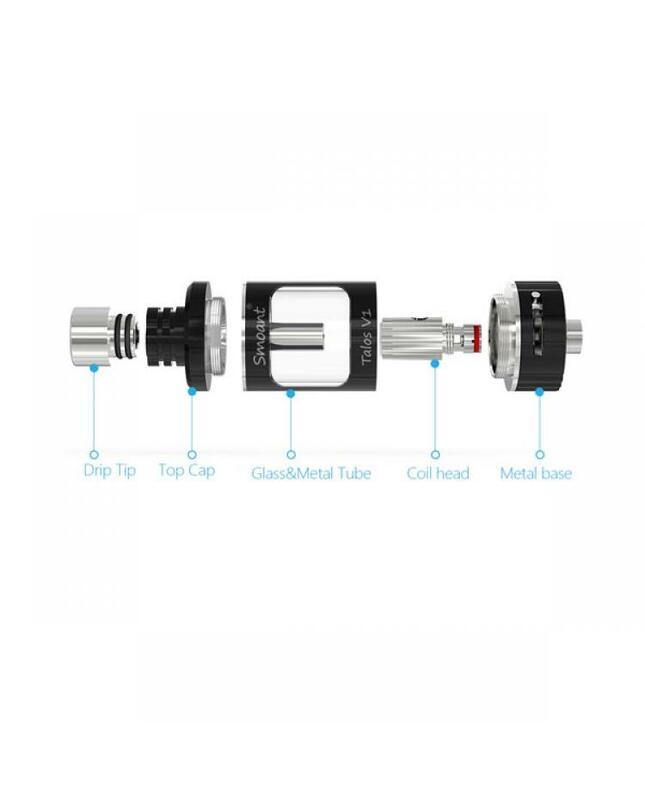 Talos v1 is the newest smoant company sub ohm tank, the new tank with top filling design comes with various OCC coils and RBA head. 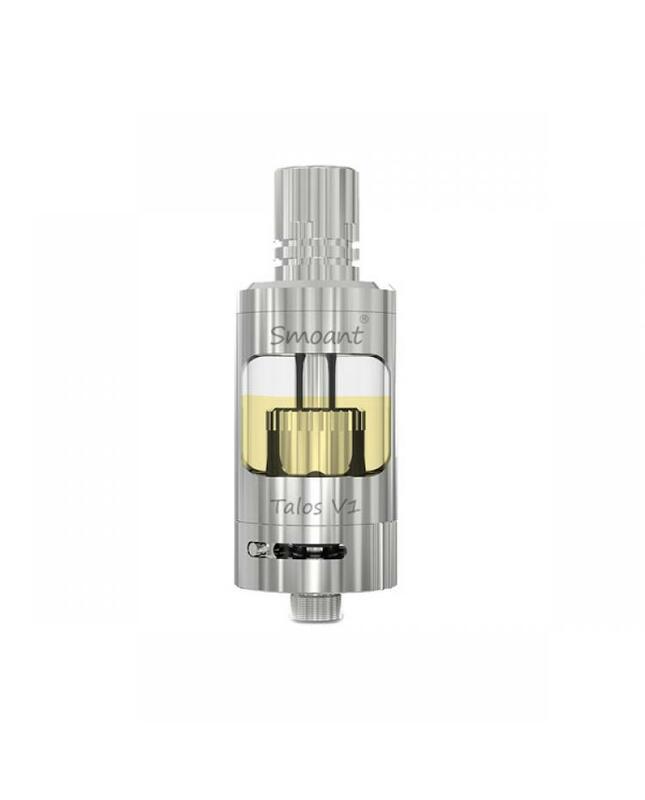 the new smoant tank made of stainless steel and pyrex glass, three different colors avaliable, can hold 4.5ml e juice, the big RBA head is easy to build your own coil. the new smoant tank has four different OCC coils avaliable, kanthal coils, SS316L coils, Ti coils, and Clapton coils, all of them made of Japanese organic cotton as wick material to produce huge vapor. 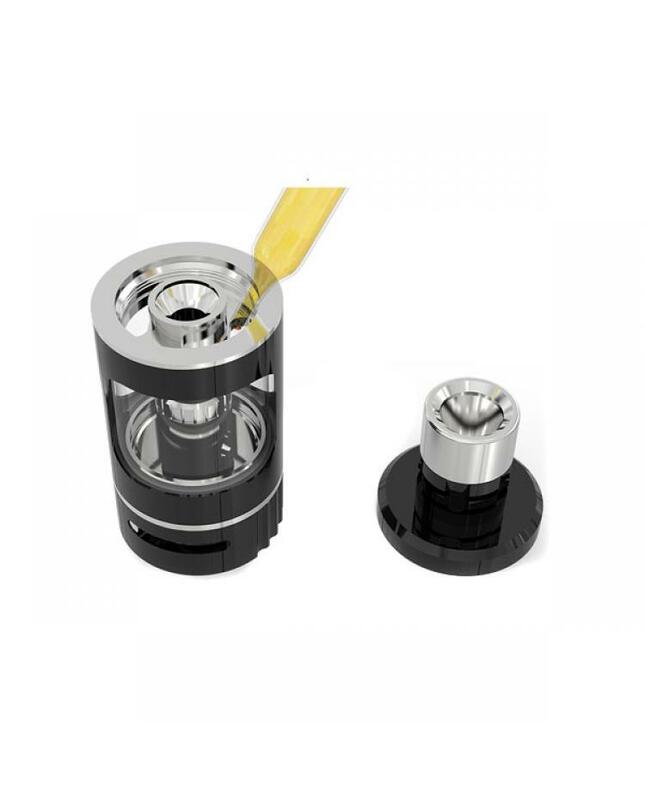 the new talos v1 tank also compatible with kanger coils. big airflow adjustable slots on the bottom of tank, easily adjust airflow.